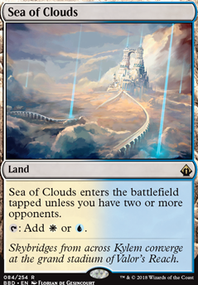 Also, in my experience I found the vivid lands to be not as good in 2 color decks. 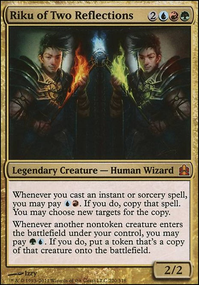 Better to stick some basics in, or a couple of the more spendy lands. 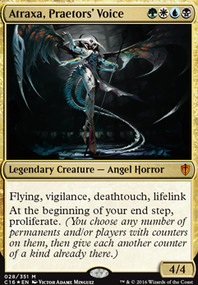 Another card that goes well with Kruphix is Urban Burgeoning . 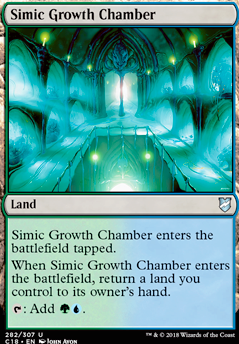 Stick it on Simic Growth Chamber or Temple of the False God (which you don't have in your list) for some excellent colorless mana generation. I see you can make infinite green mana, so why not capitalize on that?. 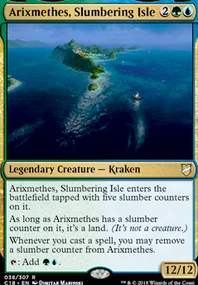 You could do this alternatively by adding Simic Growth Chamber (Voyaging Satyr target). Genesis Wave your deck to the field, add Laboratory Maniac as an alternate win con maybe as you can potentially do the the same with the Hydroid?. Tap everything on board with Icy Blast and/or Gridlock . Nimbus Swimmer for a giant flying sea monster. Walking Ballista to take out everyone/thing. And if you're not into infinite things then perhaps you'd like Shaman of Forgotten Ways . 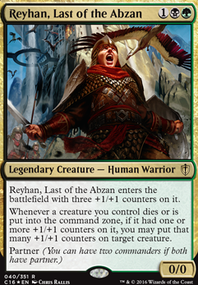 A bit of creature ramp and a secondary ability that gets overlooked/forgotten alot that can net you a win, esp. against heavy lifegain decks. Well, hope this helps for your first cycle advice ;).